This is definitely the best guide to the Inca Trail and Machu Picchu...Highly recommended. Fully revised 6th edition of this best-selling, all-in-one guide for hiking the Inca Trail. Includes Lima and Cusco city guides, route guide and maps for Classic Inca Trail, High Inca Trail, Salkantay, Choquequirao, Lares and Ausangate treks plus a full Machu Picchu guide. 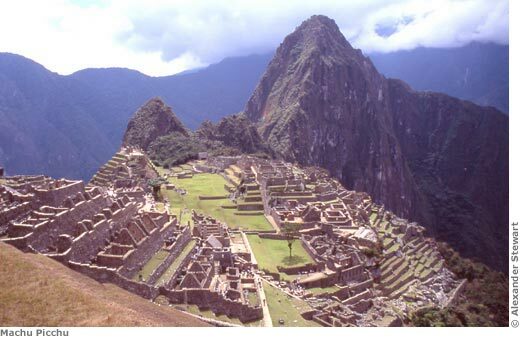 Lost to the jungle for centuries, Machu Picchu was rediscovered by Hiram Bingham 100 years ago. It's now probably the most famous sight in South America – and justifiably so. Perched high above the river on a knife-edge ridge, the ruins are truly spectacular. The best way to reach them is on foot, following parts of the original paved Inca Trail over passes of 4200m (13,500ft) .